Tim Hinkley is one of the world’s most legendary keyboard players. He has worked with virtually every musical icon of the last 50 years, and witnessed the evolution of rock and pop at first hand through friendships and collaborations with artists from The Who and The Rolling Stones to Whitesnake, Van Morrison and Thin Lizzy. He’s even rumoured to have turned down David Bowie. His musical journey through the decades is a fascinating one, pioneering performances with the Hammond organ, contributing to some of the world’s most famous tracks, and embracing the full potential of digital technology. He takes us through some of the highlights and the standout gear along the way. Going right back to the beginning, did you sit daydreaming at school of playing keyboard for lots of big names one day? Well no not at all, it’s an interesting story. My mother had promised her brother that I would go for piano lessons, but I hated it - I wanted to play football. I went to the lessons and I learned a bit, but I didn’t want to practice. Then I was out playing football one day when I was 10 years old (I was born a long time ago, this was 1956) and a guy came into the park with a wind-up portable gramophone; and he wound it up and he put the needle on the record, and that record changed my life forever. It was Little Richard singing Long Tall Sally, and it just blew me away. I said to the guy ‘what is that? !’, and he said ‘it’s rock and roll’. So I said ‘what’s rock and roll? !’ and he said ‘it’s our music’. So that started everything off. I went home and re-discovered the piano. I started saving my paper-round money and buying records and playing the piano. Then later I started to join up with other like-minded young guys to play music; but of course nobody wanted a piano player. So I thought what can I play? Of course everyone wanted to play guitar or drums, so I picked up the bass. I actually played bass for many years in my first semi-pro bands. Eventually I went to see a show at one of the local R&B clubs and Graham Bond was playing Hammond organ. 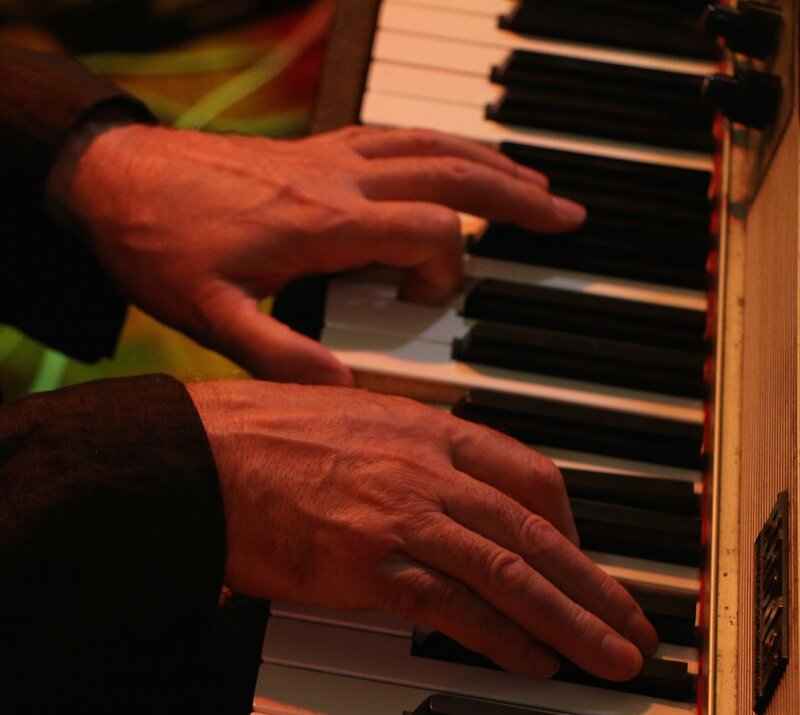 I was so intrigued by that sound that I was determined to go from bass to Hammond organ. So I sold my bass – a 1961 Precision – for about £60! And bought this little portable Lowry T1 organ for £200 it didn’t sound the same as a Hammond organ but it was close. My father had got me a job at Lloyd’s underwriters but I only lasted about 7 months; I just couldn’t concentrate on anything other than music. I walked out one day and picked up the Melody Maker and there was an advert in there; I joined the Bo Street Runners - Mick Fleetwood was the drummer - and it went on from there. Is it true or just a myth that you turned down an offer to join The Konrads, who included Davy Jones, who became David Bowie? Can you claim to have turned down David Bowie?! It wasn’t really David Bowie! It was another guy who really ran The Konrads. They wanted an organ player and I went to see them. Davy Jones - as he was then - started off playing saxophone with an R&B band called The Mannish Boys I believe. We were all playing R&B at the time, that’s what we did. But Davy Jones went off to the Beckenham Arts Lab and started to get more into performance art, so The Konrads weren’t really an R&B band and back in those days I just wanted to play R&B, I didn’t want to play anything else. So I went to see them and thought it was nonsense! I didn’t want to join them. The reason they wanted me was because I had the organ, and not many people had one in those days. A keyboard was pretty rare; I suppose in America there were Wurlizters and Fenders but all we had was that Hohner Pianet which was a dreadful thing. There weren’t really many keyboards around, so if you had one you were pretty unique. I had the Lowry T1 portable organ and it got the attention of a lot of people including The Konrads. So yeah… I did turn down The Konrads and I suppose therefor David Bowie, it’s true. When did your career really evolve from this early stuff to being in such demand that you were playing for the likes of Whitesnake, Thin Lizzy, Roger Daltrey…? Well that was really an accident… some people aim to be professional session players but I never wanted to be that. The Bo Street Runners went through a lot of incarnations when I was with them and finally we all ended up in this house with a bunch of jazz musicians: John McLaughlin, Phil Seamen, all these great English jazz players. I learned so much from those guys that playing rock and pop was so easy after that. I just sort of fell into it, I don’t really know how it happened, there was no conscious move on my part to do it. I think partly up until that time session players just read the dots, then here comes people like Jimmy Page and myself who would get in there and suggest ‘what if we try a G minor 7 over that C?’, and they quite liked that, that you were actually contributing rather than just playing what was written. And I sort of enjoyed it to a degree. But to this day I really just think I was lucky more than anything. It must have been quite something, in a period of guitars and drums and bass, that suddenly a guy with a keyboard shows up - especially the Hammond which is such an iconic sound. Do you think the novelty was mainly you being a keyboard player, or was it the Hammond itself, with its ability to transcend virtually every musical genre? That was part of it. 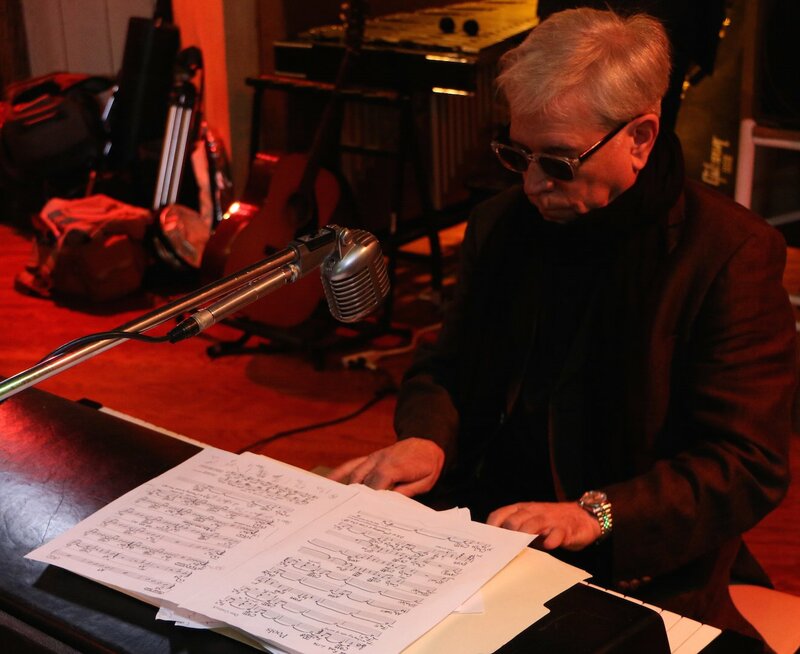 Ian McLagan (Mac) and I both got these little Hammond organs, we were probably the first. We both realised that those Leslie speakers were never going to be loud enough to match a Marshall so we started putting our organs through guitar amps. I think it was a combination of that sound - it’s a very unique sound that Hammond organ sound - and also the fact that it was an instrument that even though it was heavy could be carried around to gigs. You couldn’t really carry a piano around, and if you did have a piano at a gig it would be out of tune. I remember Screaming Lord Sutch had a piano player called Freddie Fingers Lee - who was quite famous back then for a lot of things - he would play the piano that was at the gig. I remember going to see them a few times; they put a mic on him but you couldn’t hear him. The Hammond on the other hand was loud, then put it through a Marshall stack and it had this really really wide ranging sound. You could hear it a mile off, and it was different from the Shadows era, where all bands had two guitars, bass and drums; all of a sudden here was this other instrument and it was very distinctive. In a sense the Hammond was the tech of the day - over the years you must have seen so much technology come and go. When computers came along did you embrace them straight away as you had embraced the Hammond? What happened was I got an Atari ST in 1989. It had MIDI; I was interested in MIDI but to be quite honest I really wasn’t that interested in technology at that time. But I got that Atari ST and I had one of the very first Jupiter 8 synthesizers, with the arpeggiator business going on; I thought this could be quite interesting. I liked the idea of MIDI a lot and I still do; I still use it. For me, for keyboards I think it’s the best way to edit, I love it. In about ‘89 I got a Mac, which didn’t have a MIDI interface so sort of got set to one side, but the Atari was an amazing little computer. Then I bought a Pro 16 by Steinberg and started making MIDI tracks. In 1990 I got a call to produce a Gene Pitney album and they asked me to do all the tracks in my studio; I said yes, thinking to myself afterwards, ‘what have I let myself in for here!’ I sat down 24/7 for about two weeks programming all the tracks. It was really hard work, as back then of course there weren’t any plug-ins, it was all MIDI and you had to link it up to a tape machine to get any audio on it. I had a little 8-track tape machine which I tried to sync up, though it was always dropping out of sync. Then I got an Akai 12-track cassette machine and that was always dropping out too, it was a nightmare! I took all the files into the studio and we worked on putting all the sounds together then combined it all on one of the first 24-track digital machines. After that I decided I didn’t know enough so I took a degree in Music Information Technology at London University and consequently learned a lot about digital audio. One of most interesting parts was the acoustics section - my thesis was on the Royal Festival Hall. I got interested enough to know what it was all about and that’s when things really changed. I suddenly realised things were moving on and you can either get left behind or move with it, so I moved with it and haven’t really stopped since. And how did you first hear about Sound Radix? Well I had Logic 9, and a bunch of 32-bit plug-ins, so I got Logic 10, and as always happens when you upgrade, things went absolutely haywire. Then I saw this programme called 32 Lives, and I thought ‘Aha! That’ll enable me to use my 32-bit plug-ins with the 64-bit architecture of Logic 10. So I gave it a trial and it worked; I got all my plug-ins back and it all worked perfectly so I bought it! Now I’m doing a project, a reformation of my band Jody Grind; and I’ve got a drummer, a really good friend of mine called Charlie Morgan who played with Elton John for 12 years. He’s got a little studio in Nashville and he records the live drum tracks and sends them to me. He’s playing live drums and he hits the drums quite hard; and I would solo a tom-tom mic and hear the snare drum at equal voliume and I was thinking, ‘gosh’, what do we do here, that doesn’t work, that’s horrible!’ Then I noticed there was this piece of software called Drum Leveler – I think I’d seen a review of it in one of the magazines. So I put Drum Leveler on one of the tracks… it didn’t separate the drums completely but I didn’t really want that, I just wanted a little bit of space between the drums. I haven’t got deep into it yet, I’m still using factory pre-sets really, but I thought ‘this is really good!’ and as I’m going to be doing lots of stuff like that with Charlie I thought I’d better buy it! It’s been great, I love it. I’m looking at some of the other Radix plug-ins like Auto-Align and SurferEQ too. I’ve got a lot of software that I use, but those two in particular (32 Lives and Drum Leveler) have been wonderful tools for me, absolutely wonderful. I wouldn’t be able to use my plug-ins if I didn’t have 32 Lives. For 99 dollars it’s a steal for me! You’ve had an amazing career and weathered several revolutions in the recording industry; what advice would you give your 16-year-old self as to what has kept you going? When I do lecture at colleges I always tell them to go and learn the history, because I think that grounding is essential. That’s what I did, I went right back to find out what happened before Little Richard, right back to Louis Armstrong. I think it’s important to know where the music has come from and how it has progressed. I also do lectures on the history of audio recording which is another interesting subject. What I find with a lot of young kids is that although I used to have to go and find this stuff in libraries or drive 12 miles to a record store that had a Chuck Berry single or a Muddy Waters record; they’ve got all of this right at their fingertips and yet they still don’t know this stuff. Which really amazes me. Somehow they’re missing out on this wealth of knowledge. The information out there is extraordinary, but I think there are so many distractions now for kids – online gaming and all that stuff; when I was young there was just music and movies, that’s all there was. Things have changed. So my advice is first, practice, practice, practice. Then find out the history of what you’re doing and the third thing is study law – copyright law – because that’s something I’ve had to learn the hard way. The rip-offs from musicians and artists over the years has been quite disgraceful. It’s very hard to make a living as a musician these days, very difficult. When I was 16 there weren’t many people that played music professionally, people didn’t believe me that I did it full time. There were a lot of live shows you could do. When I was in Bo Street Runners in the ‘60s that’s all we did five nights a week, just went and played gigs. It wasn’t a tour, it’s just what we did all the time. We’d record a single on a Monday which came out of the Friday, did a 3-hour session for a single, hope it was a hit, often it was; then that disappeared, month later do another one, do a bit of promo on it, play the gigs, get paid. That’s just what we did. Simple, very simple. We didn’t even have a phone in the house; didn’t have a TV or a phone, just listened to music all the time, and played. Times have certainly changed, but one thing will remain constant: Hinkley’s dedication to getting the very best out of an artist with the ultimate technology at his fingertips.